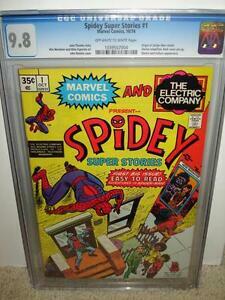 CGC 9.8 AMAZING SPIDER-MAN #116 1973 SUPER HIGH GRADE! comicmylars has no other items for sale. MARVEL AMAZING SPIDER-MAN #177 CGC 9.8 GREEN GOLBIN & SILVERMANE-HIGHEST GRADE! !